A significant upgrade to any system, our interconnects exhibit great clarity and purity of sound enabling true three dimensionality displaying a remarkable sense of height and depth whilst giving full-band sonic performance showing a remarkably satisfying cohesion and exceptional musicality. 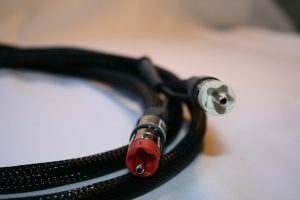 All cables are terminated with the highest grade RCA plugs that costs allow. Custom lengths and terminations are available on all cables to perfectly suite any requirement. It is ideal to use Merlin Interconnects in conjunction Merlin Speaker Cables to ensure perfect property synergy for the whole signal path and to ensure a perfect balance and individual cable performance is maximised.